Card underneath photo: Captain Harry Colebourn at the time of this photograph was attached to the Canadian Army Veterinary Corps (C.A.V.C.) The photo was taken in Winnipeg while he was on leave from March 22 to April 25, 1918. 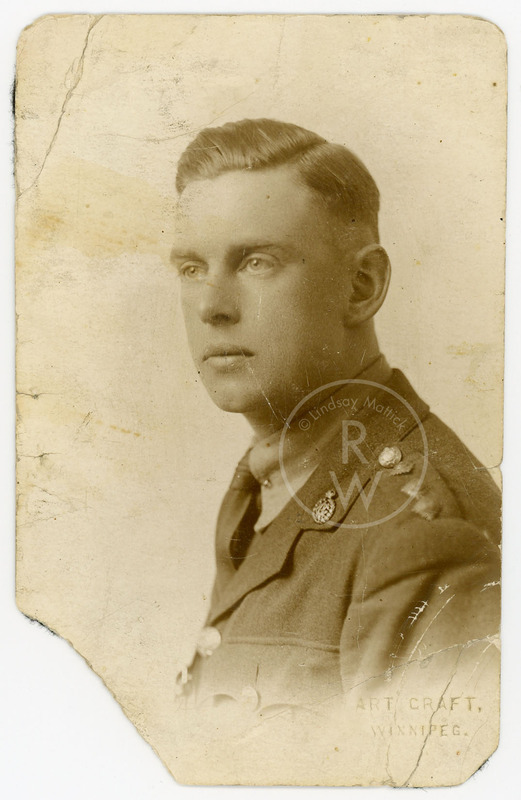 “Portrait of Harry Colebourn in uniform,” Remembering the Real Winnie: The World's Most Famous Bear Turns 100, accessed April 25, 2019, http://therealwinnie.ryerson.ca/collection/items/show/32.